Jersey City indie pop singer Giselle has joined thousands across the country in entering NPR’s 2018 Tiny Desk Contest. Every year, NPR’s Tiny Desk Series hosts a national contest through YouTube, offering undiscovered talent the opportunity to win a Tiny Desk performance at NPR in Washington, D.C., a US tour with NPR and Lagunitas, and an appearance at a taping of NPR’s Ask Me Another. 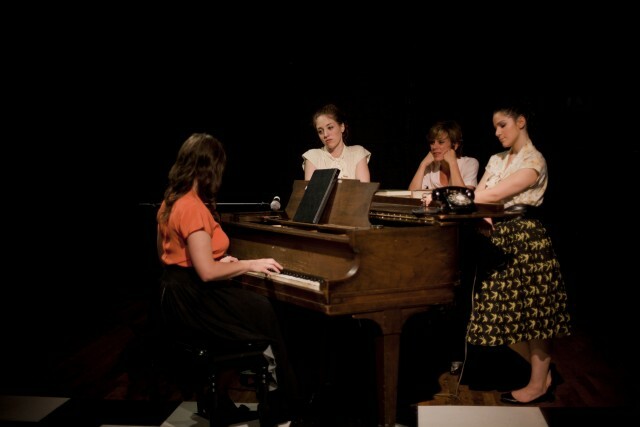 Giselle, accompanied by her band, delivered a live performance of her song “Patience” as entry into the contest, with the help of local filmmakers and creatives who assisted with the video’s production. The video was filmed at Jersey City’s vibrant and newly-opened restaurant, Frankie. Giselle is originally from Miami, FL but later found herself leaving school and heading to the bright lights of New York City to pursue a singing career. Though classically trained in opera, Giselle’s vocal style evolved as she began charting new territories as a songwriter. Giselle is perhaps most notable for singing the 2015 viral hit “diarreah song” featured on FX, which collectively garnered nearly 500,000 views on YouTube. 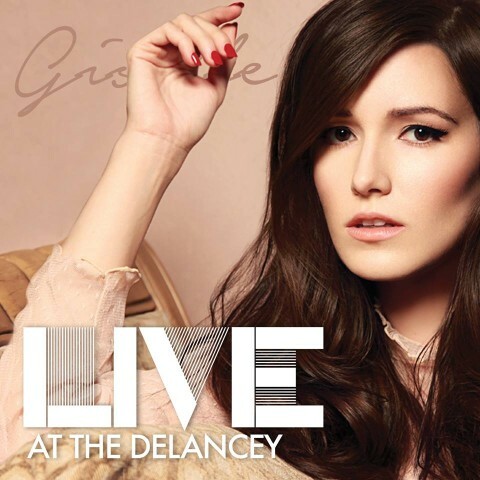 Giselle’s newest mixtape, “not ready to grow up” however, signifies the pop singer’s evolution with dynamic vocals and dark, vulnerable themes. While Giselle has performed in venues all over the country, her local performances have included the 2017 Freedom Fireworks Festival, Art House Productions’ 2016 Snow Ball Gala, The ALZ NJ Jersey City Walk, and events at New York Red Bulls Arena, Loew’s Jersey Theatre, and Barclays Center. Below is the link to the video. And if you’re interested in featuring the video, I’d be happy to send along more information. Thank you for your time! Music Broadway Bayonne for November 10th 2017,now in its tenth week. 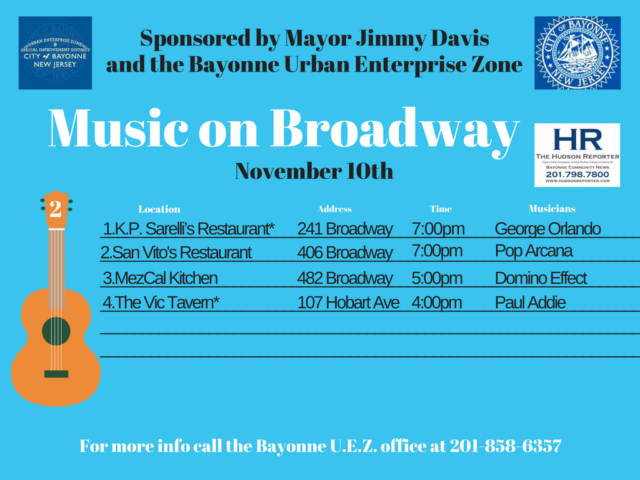 Sponsored by Bayonne Mayor James Davis and the Bayonne Urban Enterprise Zone the Music on Broadway program brings music back to Bayonne combining excellent venues with exceptional entertainment to make your Friday night out fun and local. RiverviewJazz.Org (RJO) will present the Fourth Annual Riverview Jazz Festival from June 3 – 11, 2016. All events are free to the public. The Riverview Jazz festival week starts with an opening party on Friday June 3 at City Life in Jersey City with over 40 events planned through the week and culminating on June 11 at Riverview Fisk Park. This year’s flagship event on Saturday June 11 at Riverview Fisk Park will feature two stages, nine bands, beer provided by BuyRite, food trucks curated by Hudson Kitchen, a vintage flea market by Pacific Flea, family events, and a cobblestone artwalk produced by Riverview Neighborhood Association with artist Jeankarlos Cruz. And best yet – it’s free to the public! The Riverview Jazz Festival is made possible in part by Mayor Steven M. Fulop, the Jersey City Municipal Council, and the Office of Cultural Affairs, by generous support from the Hudson County Office of Cultural & Heritage Affairs/Tourism Development, Thomas A. DeGise, Hudson County Executive and the Hudson County Board of Chosen Freeholders and the New Jersey State Council on the Arts, and many others including Hudson Reporter, Buy Rite, Sawyer Smith Residential Brokerage, Riverview Neighborhood Association, Remco Press, Silverman, New Jersey City University, Farms in the Heights, New Heights Art Supply, ModCup, Palisade’s Liquors, Gino’s Pizzeria, Guitar Bar/Drum Den, all the venues hosting events and other individual supporters. Beginning this fall, Jersey City will feature a new community chorus, “North River Sing,” the first chorus in New Jersey dedicated to American musical theatre. 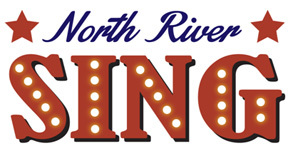 Conceived by Jersey City resident Liz Morrill, North River Sing will be directed by Meg Zervoulis,, currently resident music director and arranger at Paper Mill Playhouse.” The name “North River Sing” derives from an old nautical moniker for the part of the Hudson River that lies between New York City and New Jersey. 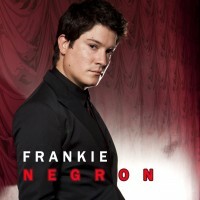 New Jersey’s own Grammy nominated Salsa singing sensation, Frankie Negron, is returning to New Jersey on Nov. 22, 2013 to perform live at Jersey City’s Blue Moon Café, 117 Montgomery St.
Raised in Newark, NJ, Negron has had Gold albums; numerous #one hits and remains a dominant figure in the world of Latin music in America and around the world. Negron will arrive in Jersey City Friday, Nov 22, after performing at the Maya in Las Vegas. The Blue Moon Café promises to be the number one spot in Jersey City for live celebrity performances, and being a Jersey Boy, Frankie was asked to be the first artist in what is expected to be monthly stellar line-ups. Doors will open for the performance at 10pm. Four hours free parking with validation is available. 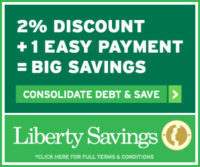 For ticket information or, a reservation call 201-779-0700. Seating is limited so get on board quick. Lunch and dinner will be served as normal throughout the day and early evening. One of the great things about living in Hudson besides its close proximity to Manhattan is the community of artists who reside here and share their talents. Dancers, actors, singers, musicians, visual artists – you name it! 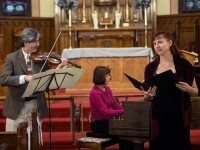 – lots of creative folks who perform professionally call Hudson home and some even find time in their busy schedules to share their talents with local audiences, like the musical artists who call themselves the Union City Chamber Players.